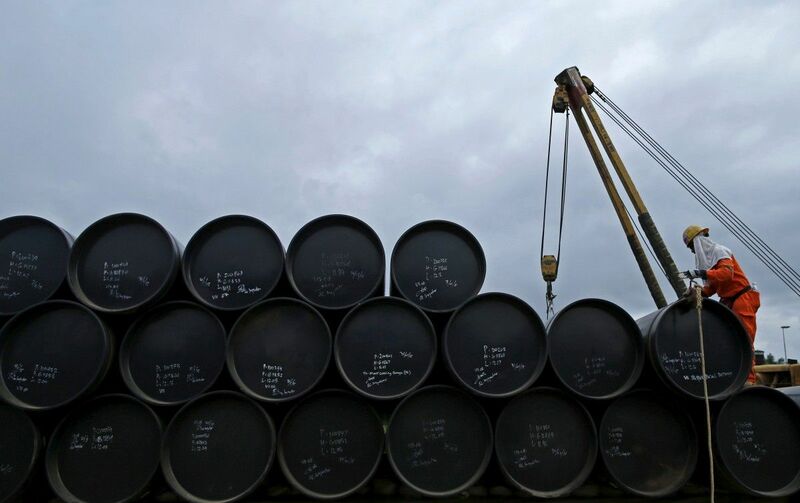 Oil investors are buying contracts that will only pay out if crude rises well above $100 a barrel over the next four years – a clear sign some believe today's bust is sowing the seeds of the next boom, according to Bloomberg. The options deals, which brokers said bear the hallmarks of trades made by hedge funds, appear to be based on the belief that current low prices will generate a supply crunch as oil companies cut billions of dollars in spending on developing fields. The International Energy Agency forecasts that non-OPEC supply will suffer its biggest decline in more than two decades this year, Bloomberg wrote. "The market faces a supply crunch in the next 24 months," said Francisco Blanch, head of commodities research at Bank of America Merrill Lynch in New York. "Some hedge funds are betting that oil prices will need to rise sharply to bring demand down again – that's why they are buying deep out-of-the-money call options." Over the last month, investors have bought call options – giving the right to buy at a predetermined price and time – for late 2018, 2019 and 2020 at strike prices of $80, $100 and $110 a barrel, according to data from the New York Mercantile Exchange and the U.S. Depository Trust & Clearing Corp.
Read alsoOil prices near 2016 highs as U.S. crude inventories dropEven before the most recent flurry, some investors had already built super-bullish positions. The largest number of outstanding contracts – or open interest – across both bullish and bearish options contracts for December 2018 is for calls at $125 a barrel. For December 2020, it's for $150 calls. "I do think we are setting up for a spike higher, but it's probably not till 2018, or maybe late 2017, because we are losing immense amounts of supply," said Amrita Sen, chief oil analyst at consultants Energy Aspects Ltd. Earlier this month, one investor bought more than 4 million barrels worth of call options at $110 and $80 a barrel for 2019 and 2020 in several transactions. In addition, another 800,000 barrels worth of $60 a barrel calls also changed hands. The deals are public because of new regulations introduced in the U.S. by the Dodd-Frank Act. The disclosures don't reveal the final buyer. Funds making the trades aren't necessarily expecting prices to jump as high as $100 to $150 a barrel, as the value of their call options will increase even if prices rise far less. These kinds of options speculators are buying are often seen as lottery tickets because they offer an outside chance of very large returns. The options deals suggest sentiment is starting to shift from worry about oversupply to concern about shortages as demand begins to outstrip production – the traditional boom and bust commodities cycle. "Large spending cuts on the back of low oil prices will lead to the demand and supply gap widening from 2018 onwards, if not earlier," Abhishek Deshpande, oil analyst at Natixis SA in London, said. "This is likely to push oil prices up as early as 2017," he added. There are also reasons to be skeptical that this year's rally from less than $30 in January to more than $50 today will be sustained. Production outages in Canada and elsewhere will probably prove temporary, U.S. shale producers may bring fields back on line as prices rise and global stockpiles remain well above historical averages. Last year, some investors took the opposite bet, buying large amounts of bearish put options that would only pay if prices plunged below $30 a barrel. When West Texas Intermediate oil briefly fell in February to a 12-year low of $26.05 a barrel, the value of those options surged and speculators cashed in.